The release schedule of new games has gotten out of hand. Granted, nothing released before the year 2000 is worth playing, but the current onslaught of games is ridiculous. A person doesn't have enough time to figure out one point salad before the next comes out. In an effort to balance things out a bit, I have decided to make an effort to play some older games. One such game is Cribbage. This may be a forgotten game; after all, I see it nowhere on the Hotness list. However, I will not hold that against the game. After all, even good games sometimes fall off of that list. Old games have an especially hard time staying on the Hotness list. And Cribbage is an old game. I think it was first published back around the same time as Ticket to Ride. 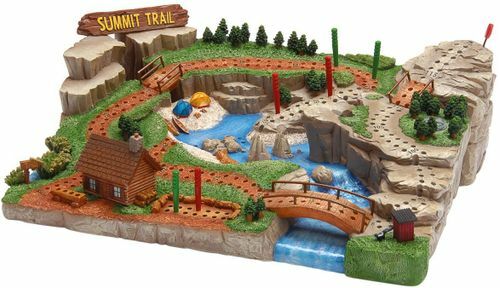 However, despite the fact that it employs the same point salad approach as all viable modern games, Cribbage has fallen into obscurity while TtR survived to become a classic. The reasons for this outcome will become increasingly obvious as I describe the game. You will surely see that, while good for its time, Cribbage lacks all the hallmarks of the kind of game that survives the test of time. The first obvious sign that this game was not built to last is the silly terminology it employs. In Cribbage, you are supposed to keep track of Nobs and Heels. I'm not sure if this is a reference to witchcraft, or something obscene. The theme of the game doesn't make it clear. Just keep in mind that this game may not be appropriate for children. Either way, these terms refer to weird rules that stick out like sore thumbs, displaying the quaint lack of streamlining that our current crop of genius designers has thankfully outgrown. Not only that, these Nobs and Heels rules are completely luck-based. Do you have a certain card in your hand? Score a point! Did you flip over a certain card at random? Score two points! Now, it's true that there is a place for a certain amount of chance in good games. Feld proved that with Castles of Burgundy. However, the fact remains that excessive amounts of luck are detrimental to a game, and a sure sign that the designer was stuck in the pre-2000 dark ages mindset. Once you get past the terminology, you can't help but notice that Cribbage is too convoluted for the kind of game it is. This is clearly a filler game. Basically, all you get in the box is a deck of cards and a score track. It is an unusually fancy score track, granted, but that is all it is. And it is frankly tiresome to see a game try to make up for its lacking in other areas by going overboard on component quality. That is clearly what is going on here. It doesn't make up for the fact that the flow of play is kind of nonsensical. And none of this ties back to the game's theme. At no point do I feel like I am constructing a bed for a baby. 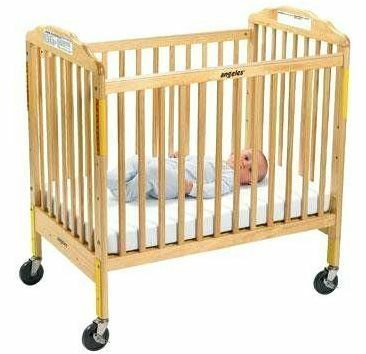 Trust me, I assembled two different cribs back when my children were infants. This is nothing like that. I understand theme is not that big a deal, but even Reiner Knizia must be shaking his head at how underdeveloped the theme is in Cribbage. Nevertheless, this lack of theme is the least of Cribbage's sins. As mentioned previously, play is nonsensical. First you're dealt six cards, then you give two of them as a gift to the dealer. What is that, some kind of baby shower? I assume so, but the rules don't say. Then the dealer flips over another card, and scores points if it is a particular kind. Then, each player takes turns playing cards to the table, keeping a running total. For example, I could play a two, then my opponent might play a six, bringing the total to eight. 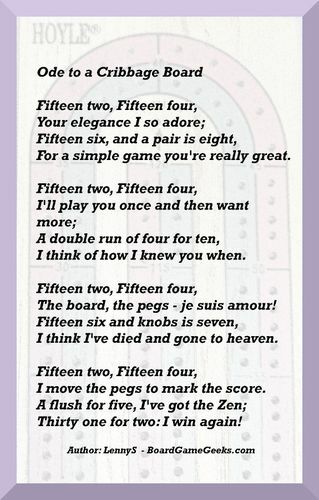 Then, I might play a seven, brining the total to 15, which would be good for me, because making the total 15 scores two points. Why? I don't know. Maybe 15 was the age of majority back in the early 2000's, when this game was first released. Again, the rules do not say. Another number of importance is 31. You can't make the running total go past that number. If you reach it exactly, you get two points. Otherwise, the last person able to play a card scores a point for last card, then the other person has to start a new run. Although once again, the rules have nothing to say about the thematic reason for this (they are remarkably unhelpful in this regard), I think it's because 31 is the age at which your children finally leave the house and go live on their own. In any event, once all cards have been played, the players reclaim them and score points for card combos. Here is where most of the delicious point salad-ness comes into play. Although I have been pretty negative in my review to this point, I have to admit that allowing a card to score for multiple combos is an inspired design decision, and proof that the designer of Cribbage had moved beyond the unenlightened dark ages mindset to embrace the superiority of modern games. Combinations can include runs of three or more consecutive cards, groups of cards adding up to fifteen, two or more cards of the same kind, and the rare one of having all cards of the same suit. Figuring out which cards to keep, and which to give as baby shower gifts, creates the central tension of the game. You want to set yourself up for the best combos, but you also want to prevent the dealer from scoring a lot of points from the baby shower. This can be tricky, because the dealer contributes cards to the baby shower, as well, so you never know what combos you might be contributing to. So that is the game's saving grace. Another weird element that I'm sure limited Cribbage's longevity is that the game ends exactly when someone gets to 121 points. The game ends immediately, and the other player doesn't even get to score the points for the combos in their hand. This is clearly a poor design decision, as we all know that proper games give each player exactly the same number of turns. Nothing else would be fair. In conclusion, as a modern game, Cribbage does have its good qualities. However, these positives are outweighed by a number of mystifying negatives. These negatives have, without a doubt, prevented Cribbage from withstanding the test of time. When green is all there is to be, it could make you wonder why. But why wonder? I'm green, and it'll do fine: it's beautiful, and I think it's what I want to be. A very thoughtful, insightful review. And none of this ties back to the game's theme. At no point do I feel like I am constructing a bed for a baby. Muggins to you! Such blasphemy belongs in the stink hole, no doubt, but ironically, this is the most coherent description of Cribbage I've ever read! I'll muggins that point you forgot to score. Looks like this scores twenty-nine! Our most played game. Despite the worst minis in gaming. Maybe you'll like Cribbage Xtreme which is kickstarting sometime in March. The minis look AWESOME. I'm waiting for Cribbage Legendary where you break the peg if you get skunked. Cribbage is probably my favorite game, and am always up for another play. I appreciate your sense of humor. Well written. Years ago, I used to play Cribbage with some guy down the pub. He'd spill his beer all over the cards and cover them in fag ash. Occasionally, he'd scribble on them and more than once, he even tore some up. Cribbage Legacy he called it. It's a pity to see someone who can actually write well use their talents in aid of a position that's dead wrong. Your timing with this post is spot on. I just learned to play Cribbage! As with many modern games, I failed miserably. Still, I want to keep trying despite my poor showing to date. Another weird element that I'm sure limited Cribbage's longevity is that the game ends exactly when someone gets to 121 points. The game ends immediately, and the other player doesn't even get to score the points for the combos in their hand. This is clearly a poor design decision, as we all know that proper games give each player exactly the same number of turns. Nothing else would be fair. Nice write-up, but you were clearly playing with an older edition that influenced your opinion negatively. Were you playing with one of the first edition versions, which has a wooden board, like the one pictured here? Personally, I find that the components that come with this version are a real issue, and make scoring quite difficult. The game has been vastly improved in more recent editions. 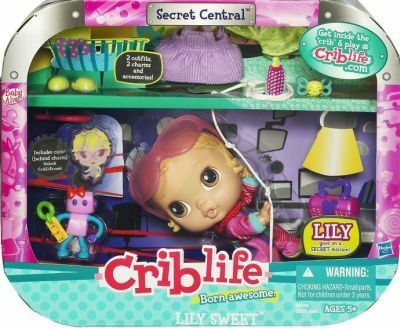 For example, the modern "Criblife" version pictured here comes with a mini-expansion of 2 outfits and 2 charms, and extra components like this really do enhance the game. I would also suggest you look into accessories, like the ones pictured below, which are available from most online game retailers. In my experience, these really enhance the game experience as well. I can't really recommend the deluxe version. It looks nice, but in my experience younger players are too afraid to cross the bridge. It's also quite difficult to find a comfortable place to sleep with this version, so in the end it doesn't improve the game and isn't worth the extra money. Ender, that was awesome. I can't even stay in character and come up with a smart-alecky response. This is probably funny, but I don't get it. The pegs really need painting to make them pop. Not the dip method either, it's well worth investing hundreds in an airbrush. It's not possible to score 19 in cribbage. Oh, that is funny. Didn’t know that. I was going with 29 because it is the max score. First you're dealt six cards, then you give two of them as a gift to the dealer. Cribbage was a very early example of the modern, almost ubiqitous Card Drafting mechanic. Otherwise a wonderful review, nineteen points for sure. Cribbage is a great game where both luck and strategy enter into it. It still remains one of our favorite games.